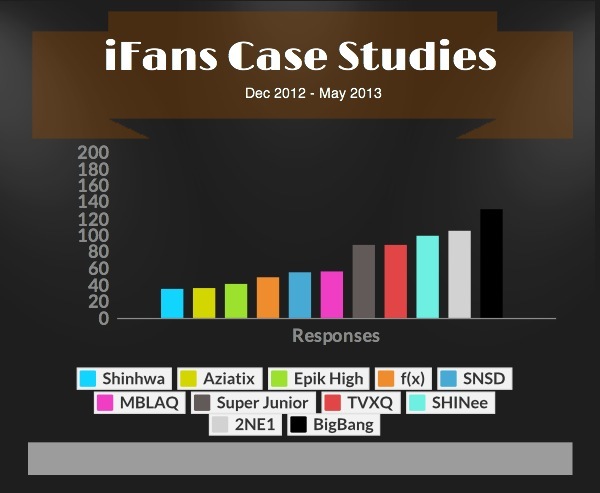 If you keep with research on K-pop, you may be aware of the iFans: Mapping Kpop’s International Fandom project. The surveys that make up the qualitative studies seek to understand how the fandoms differ from one another and their relationship to the groups they support. K-pop fans know that the fandoms are unique. Because they have detailed knowledge of the groups they support, they provide a unique perspective on the appeal of their respective groups. Too often, commentators make assumptions about K-pop fans, while the iFans studies goes to the source: the fans.